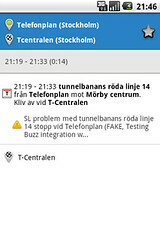 Had some communication problem with the external api the past two days. 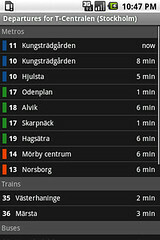 It's now back to normal again. 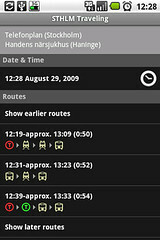 Can't decide if I'm going to replace the transport icons with something like this or not. 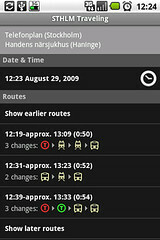 Reworked details view with map integration and possibility to buy a sms-ticket. 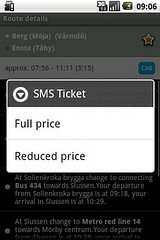 Next version of STHLM Traveling allows you to buy a SMS-ticket for your journey. 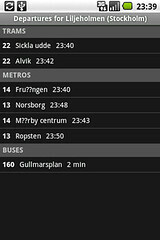 Finally fixed a ugly bug in STHLM Traveling, that made it impossible to travel from some sl sites. Will be in the next release. 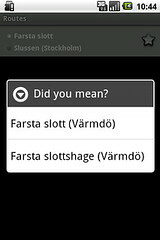 A preview of what's coming to STHLM Traveling. 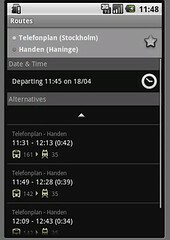 Preview of how the departure view might look like in the android app STHLM Traveling.